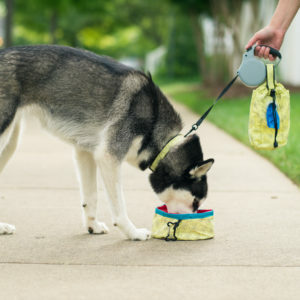 3 compartment bag that snaps onto a retractable leash handle or any favorite leash handle. 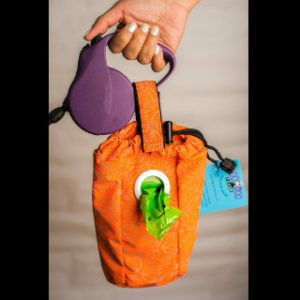 The Poo Doo pouch holds a roll of bags, pet waste, and personal items all in separate compartments. 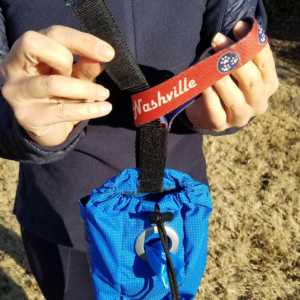 The Poo Doo pouch is water resistant and reflective. Not all colors available for backorders. Please allow 2 weeks for delivery of backorders. ** Small Pouch: Approximate Size is 7 x 5 inches, will fit an iPhone 4s. 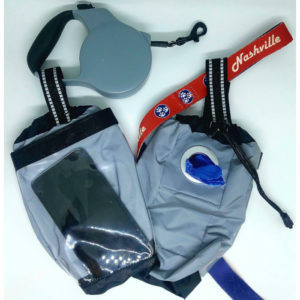 ** Large Pouch: Approximate Size is 8.5 x 5.5 inches, will fit a Samsung Galaxy or larger iPhone.